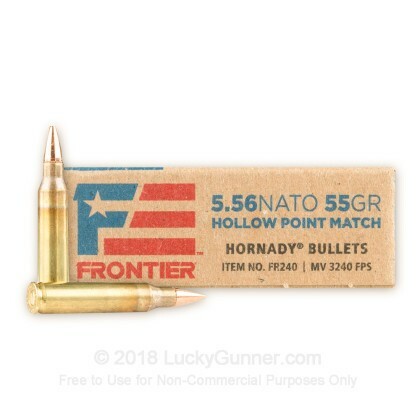 This 5.56x45 ammo is hot off the press and is one of Hornady's new 2018 offerings available from their Frontier line of ammunition. 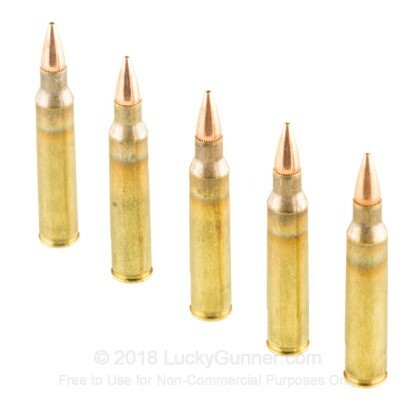 These cartridges are capped with 55 grain hollow point (HP) Match bullets that have the precision and high BC competitive shooters crave, but the HP design also makes this ammo a viable option for varmint hunting and self-defense. 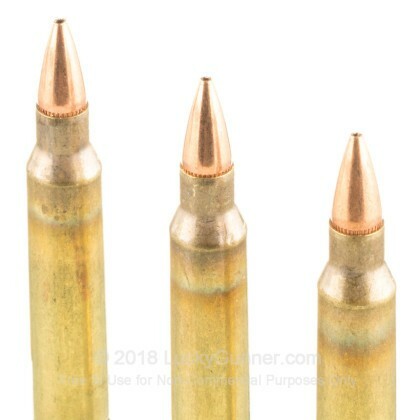 These rounds have a muzzle velocity of 3240 fps and a corresponding energy transfer of 1282 ft/lbs. 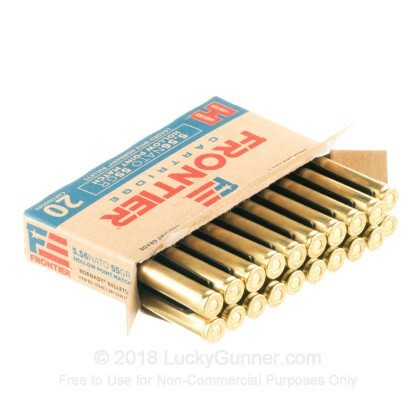 Each 5.56 NATO cartridge in this case of 500 is loaded into a factory fresh brass casing that utilizes Boxer-primers and clean-burning powders. 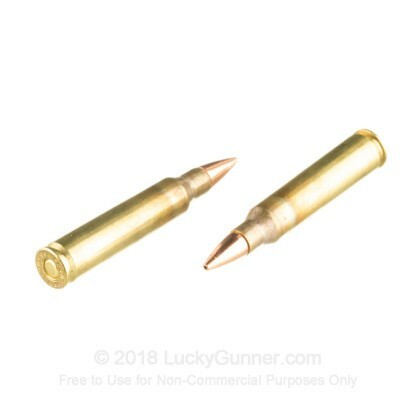 The casings are military grade which makes them perfect for reloading. Since 1949, Hornady has strived to give shooters the most functional bullets and ammunition available. Now, with this new offering, they have combined the military specifications of the Lake City Army Ammunition plant with their premium match-grade bullets to bring you an exciting new cartridge. Order your 500-round bulk case of this 5.56x45mm ammo today! 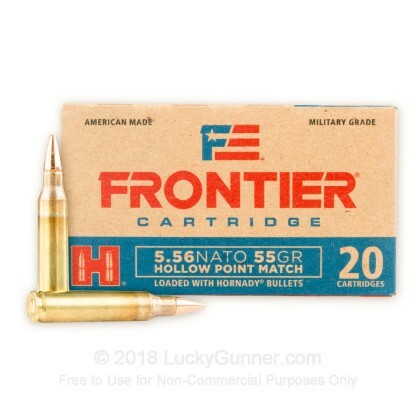 We also have this 5.56x45 - 55 Grain HP Match - Hornady Frontier - 20 Rounds ammo in stock in a smaller quantity.